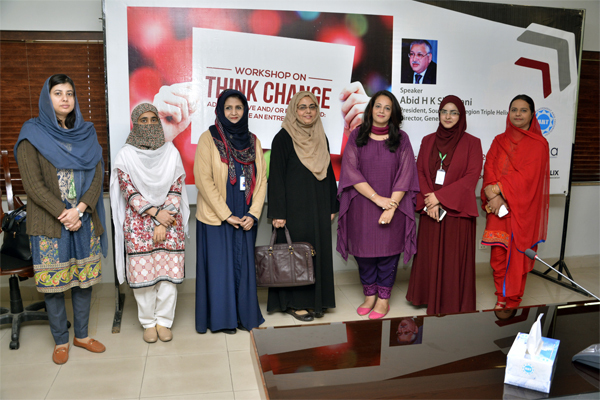 Abid H K Shirwani, DG UMT, was the speaker at the workshop titled ‘Think Change’ which was held at the UMT Campus today under the auspices of the Triple Helix South Asia Chapter. 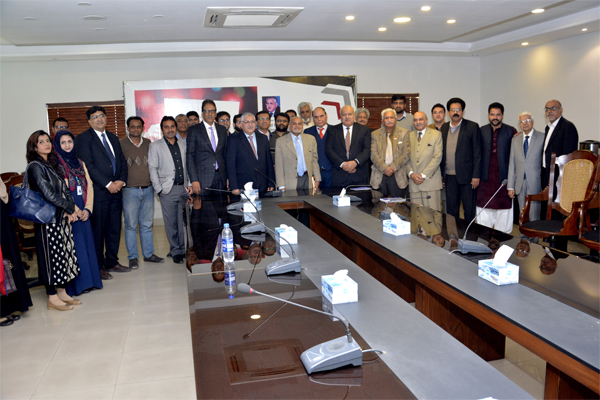 The workshop was attended by Rahat ul Ain, Ahmed Qureshi, Maqsood Ahmed Farooqi, representatives of academia and industry, and participants from various segments of society. 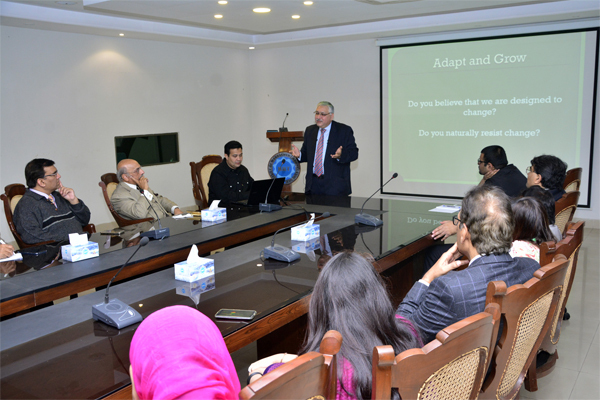 The speaker highlighted the multifaceted aspects of the implications of embracing change in life and in organizational culture. He said that in order to be successful, one must move forward with positive thinking. Each one of us is unique; it is only when we make the best use of our potential that we make our mark in life. The key to the success of entrepreneurs is to utilize their capabilities and involve people in working towards achieving the objectives. 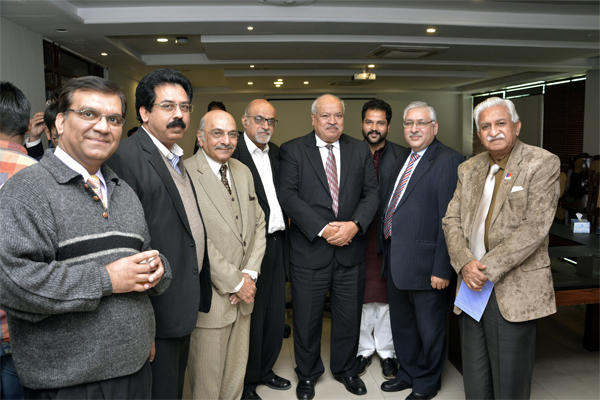 He concluded by stating that UMT is producing leaders and entrepreneurs rather than job seekers.